It’s been a week of wild weather for most of the country, and wild things have been happening for Ecotone folks too. Paul Lisicky is getting RAVE reviews for his memoir, The Narrow Door, released last week, a section of which appears in our Anniversary issue. 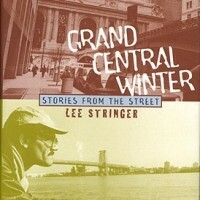 This book is about the big stuff: friendship, for sure, but also “Writing. 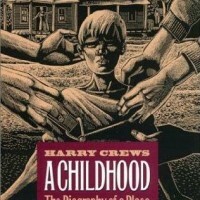 The chaos of sexuality. Competition and envy, dying and grieving. The high (unrealistic?) expectations we have of those we love, with our needs becoming so great we drive them away.” Check out the full NYT review, and then get your hands on a copy. Ecotone‘s founder, David Gessner, recently hosted a one-hour episode of National Geographic’s “Explorer: Call of the Wild,” which discusses how “As humans become more addicted to technology and withdrawn from nature, our brains are becoming rewired.” Here’s a short clip of David from the show. Awards are wild for our contributors! Hearty congrats to National Book Critics Circle Award finalist Lauren Groff, and to Wendell Berry, recipient of the Book Critics’ Ivan Sandrof Lifetime Achievement Award! 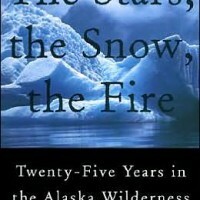 On a very sad note, farewell to Eva Saulitis, who died in Alaska last week. Eva was a passionate advocate for orcas, Prince William Sound, and all things wild, as well as beautiful and immensely talented writer. 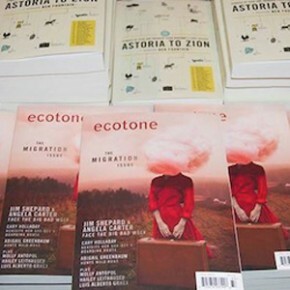 Eva’s work appeared in Ecotone 15, but we’d like to share this podcast from Orion, in which she reads an essay that appeared in their March/April 2014 issue. We hope your week is filled with less shoveling (we didn’t get a flake here on the coast, we’re sad to say!) and more of wonderful wild things. Thanks for tuning in! Sudlow Junior High lunch room. Again I’ve beaten the rest of the losers to our table because I don’t push my flab through the line anymore. I bring an apple only. The words of this, my latest eating theme, runs over and over in my aching head. There will be peace when you are done. That is, finish what I am starting. When the anger bubble bursts there’s the quiet of this hymn – blue bringing blue out of black and black bringing black out of blue. Prayer prowling in a pulp grotto. Melody configuring my sensation of being shipped through weeks like a box not sealed, stuff spilling out…phosphorescence of spent emotion behind the postman, eyes calmly rolling on a sidewalk, mouth a tired rubber band draped over a curb. Sponsorship Tickets will be on sale March 26. Individual Tickets will be on sale April 23. Read The Man in Blue Green + an interview on One Story. 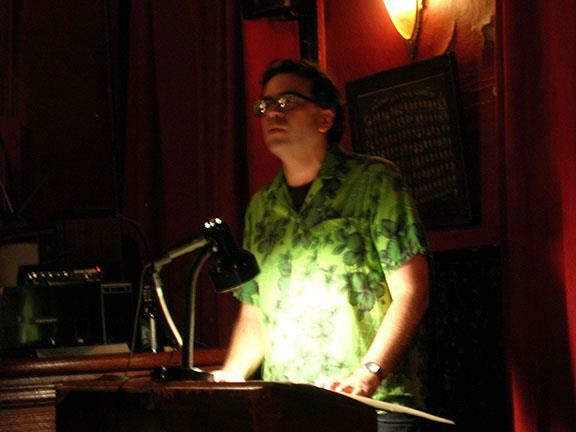 Ben Miller rocked his reading at KGB Bar last night–his first from River Bend Chronicle! How was your weekend? 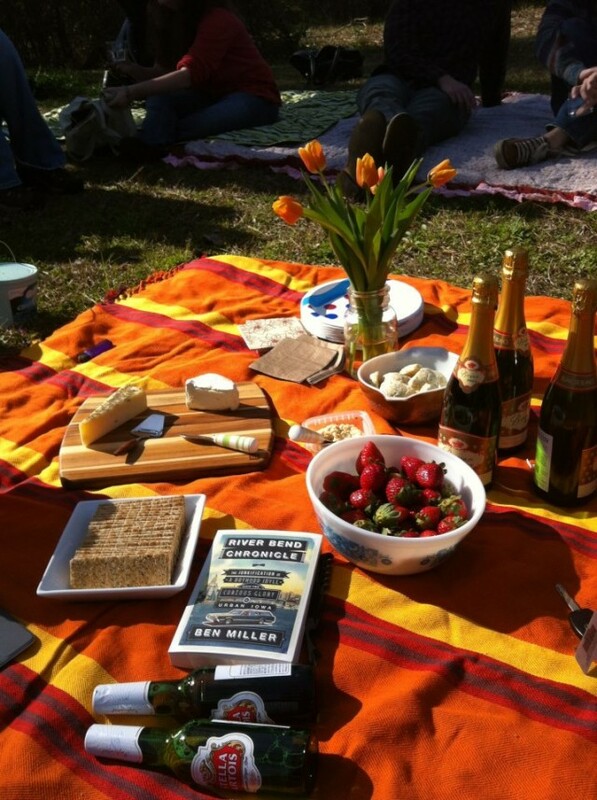 On Friday we had a (belated) picnic to celebrate the release of Ben Miller’s River Bend Chronicle. Thanks, Ben, for the tasty bubbly! 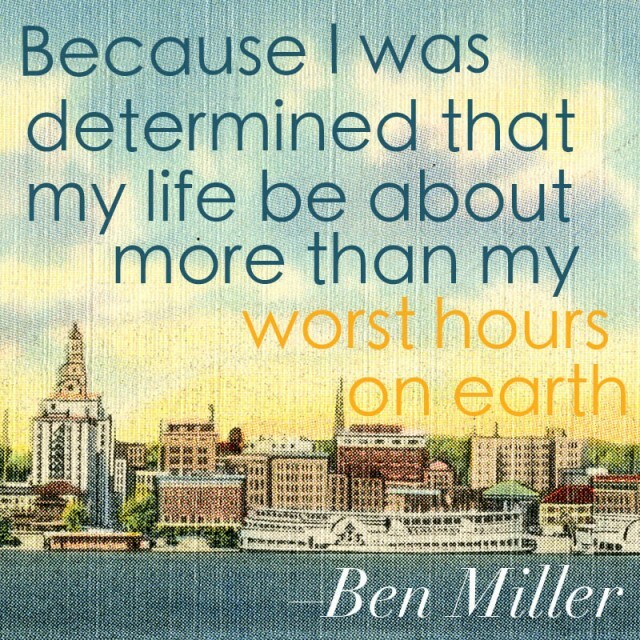 Happy Publication Day, Ben Miller! We are so proud! 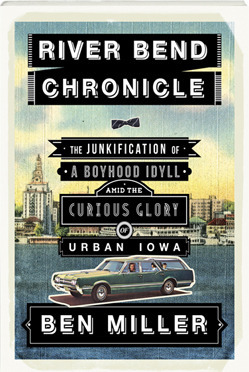 Today is the official release date of Ben Miller’s River Bend Chronicle: The Junkification of a Boyhood Idyll amid the Curious Glory of Urban Iowa. 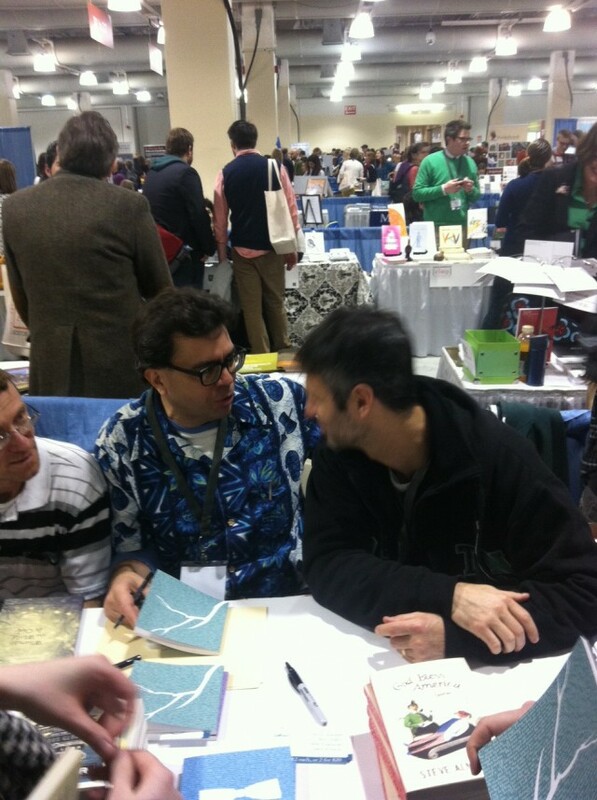 This weekend, Steve Almond said that he read his copy of RBC while commuting to and from work. Three times in one week, he missed his stop because he was so engrossed in the book. 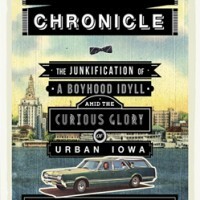 With the March 12 release of Ben Miller’s River Bend Chronicle: The Junkification of a Boyhood Idyll Amid the Curious Glory of Urban Iowa, the Lookout interns wanted to celebrate five strong memoirs about place.